The wave of new developments rising along the Brooklyn and Queens waterfronts saw substantial vertical progress in 2017, with towers like The Greenpoint topping-out, and projects like TF Cornerstone’s Hunters Point South high-rises getting fresh renderings. The first days of 2018 are already signaling a continuation of the boom, and today YIMBY has the exclusive reveal for renderings of RedSky Capital’s redevelopment at 18 India Street, on the Greenpoint waterfront, which will yield approximately 650,000 square feet of space. Renderings depict a rather unconventional configuration, with the various uses stacked one on top of the other in a Jenga-esque layout. The Brooklyn waterfront is no stranger to high-rises with interesting geometry, and Two Trees’ redevelopment of the Domino Sugar Factory and its surrounds will use similarly eye-catching engineering. 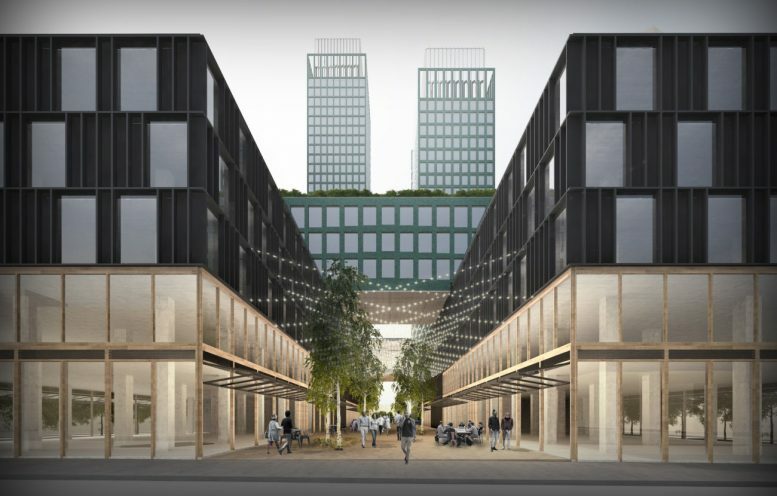 The exact architect of the project has not yet been revealed, but with the current glimpse quite promising, additional renderings are likely to offer details that establish 18 India Street as a future icon on the Greenpoint skyline. The preliminary look is already quite promising, and the green-brick facade combined with the expansive rectangular windows should yield a development that is far less anonymous than the earliest towers to rise on the Greenpoint waterfront. JZ Capital Partners will be joining with RedSky to develop the site, and the pair scored a $58 million loan for the project back in May of 2015. 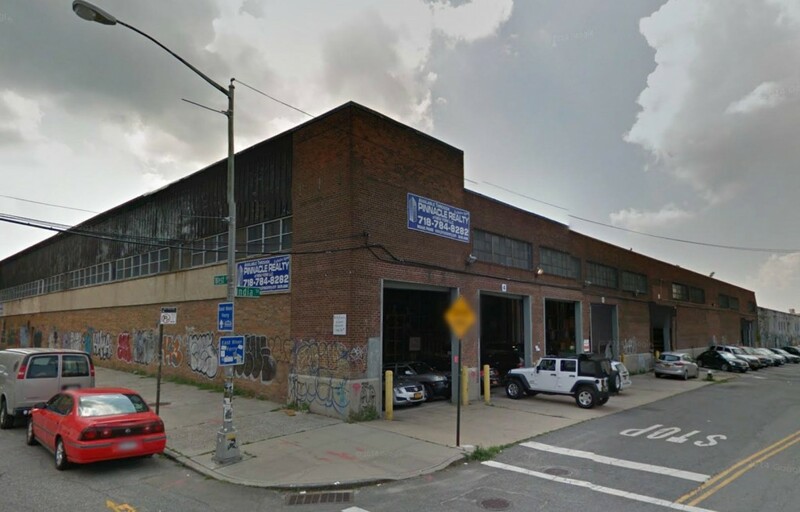 According to reporting at the time, the build-out will include 100,000 square feet of retail space, which leaves about 550,000 square feet of residential space leftover, which will include affordable units. Considering the potential for condominiums, the number of units is likely to fall somewhere between 500 and 700 in aggregate. No completion date has been formally announced, but with loans already procured and renderings now revealing what the site will yield, plans are evidently moving forward. 2 Comments on "RedSky Capital’s 40-Story Towers Coming to Greenpoint Waterfront Revealed"
Who is the general contractor or construction manager for this project?